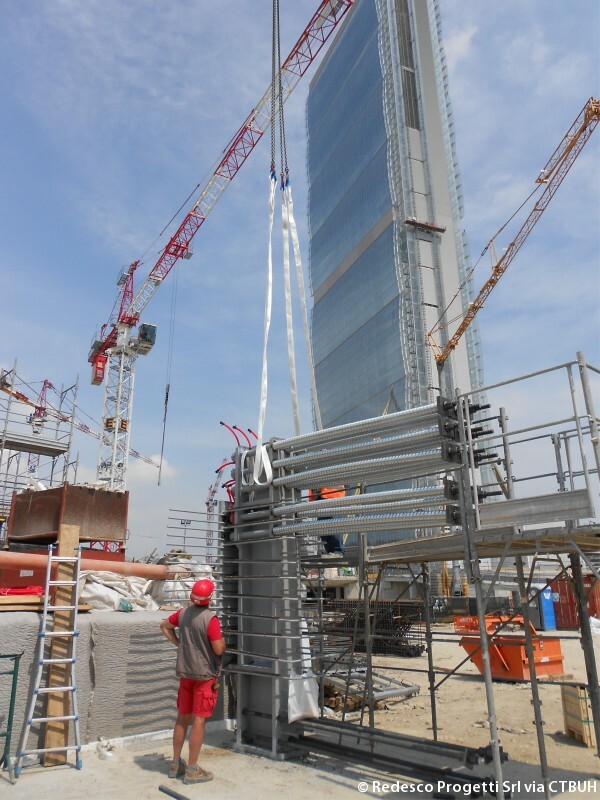 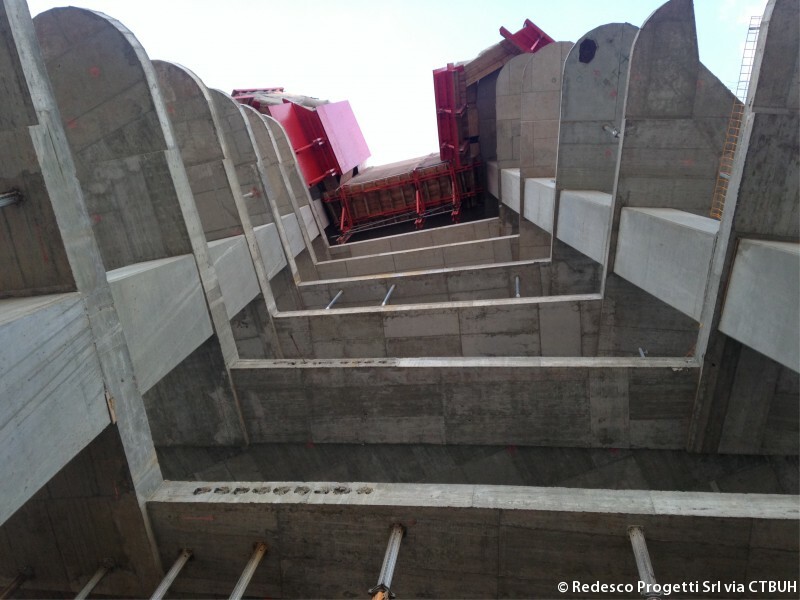 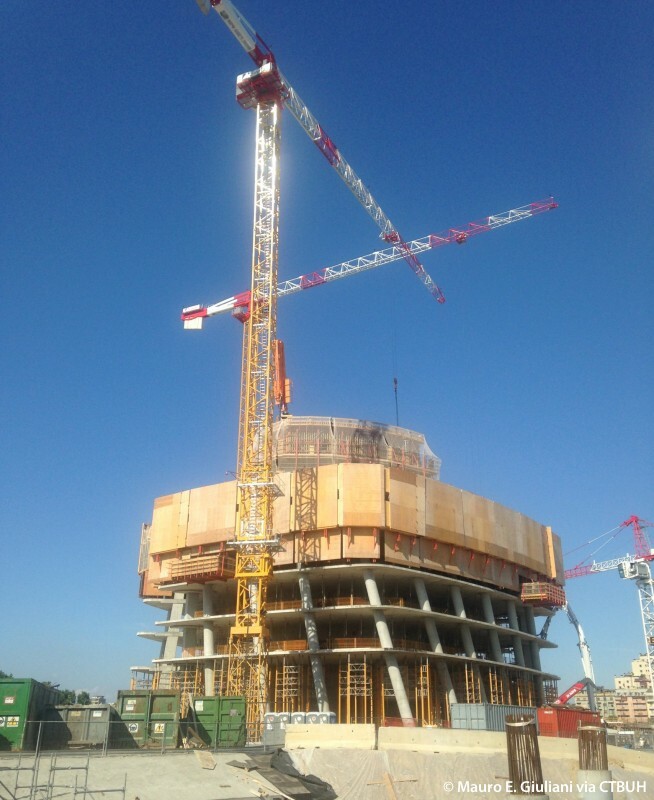 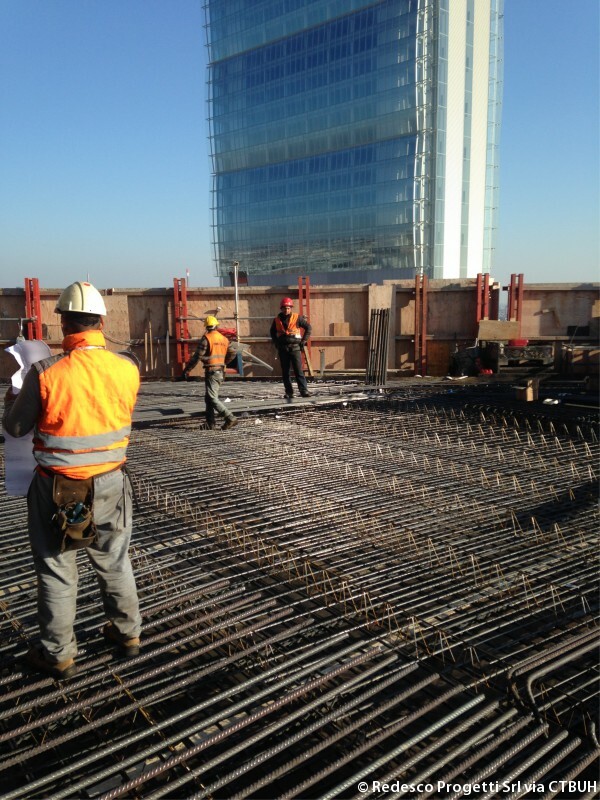 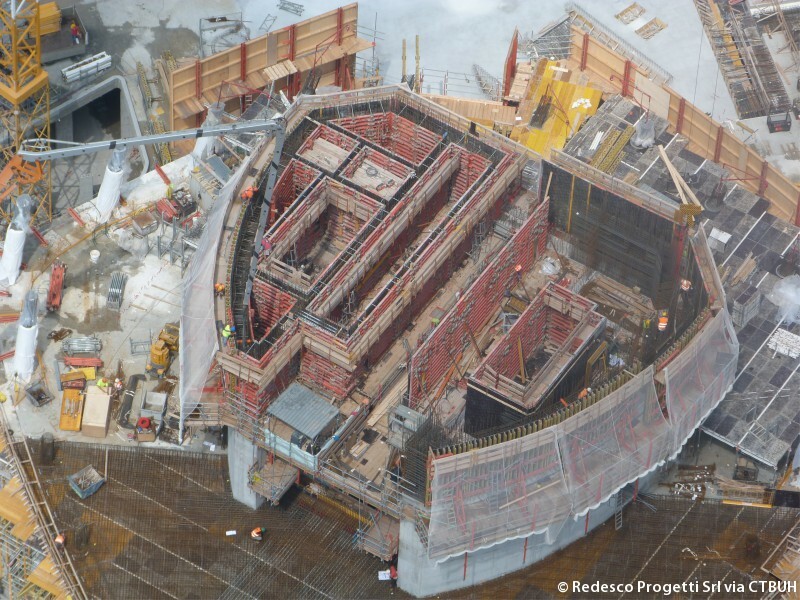 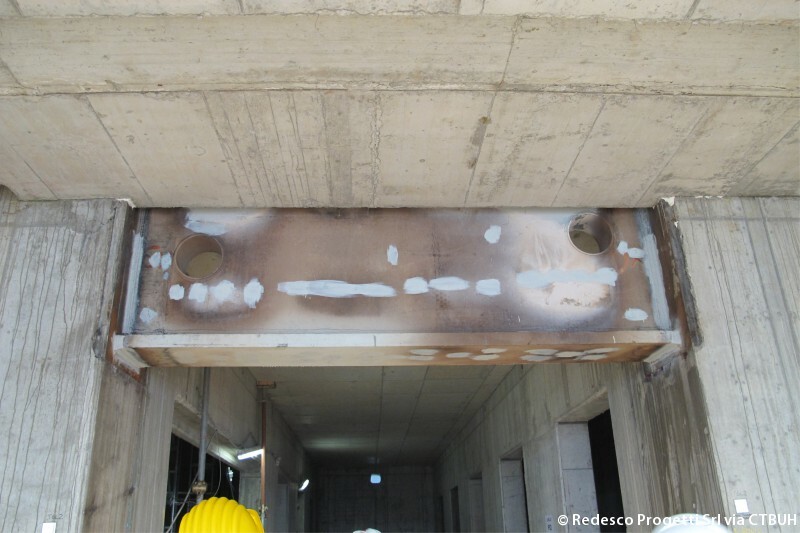 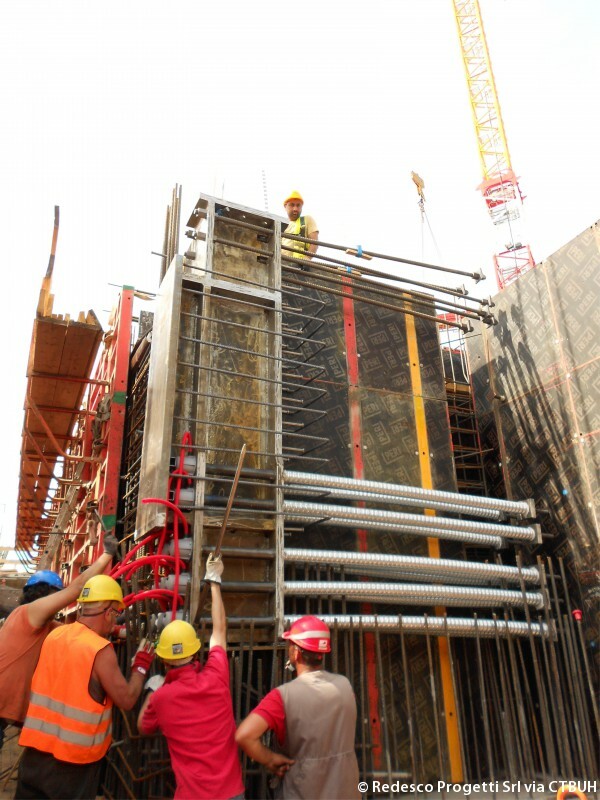 Main Contractor CMB Carpi S.r.l. 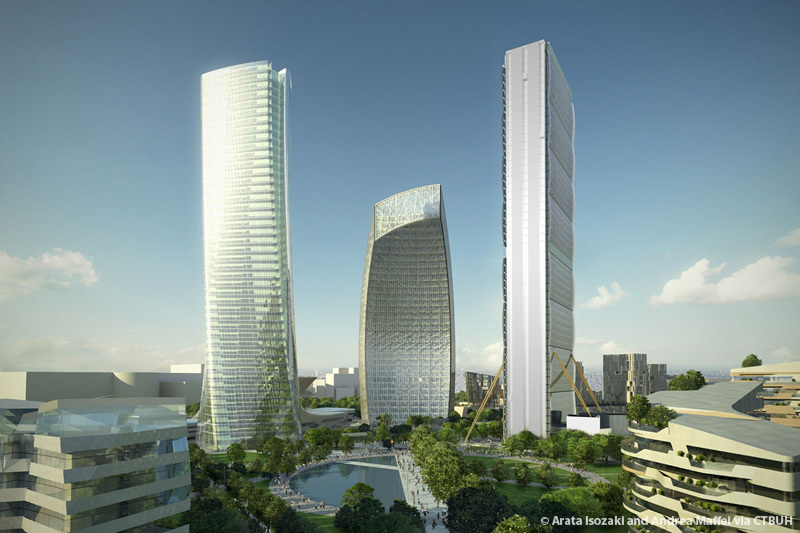 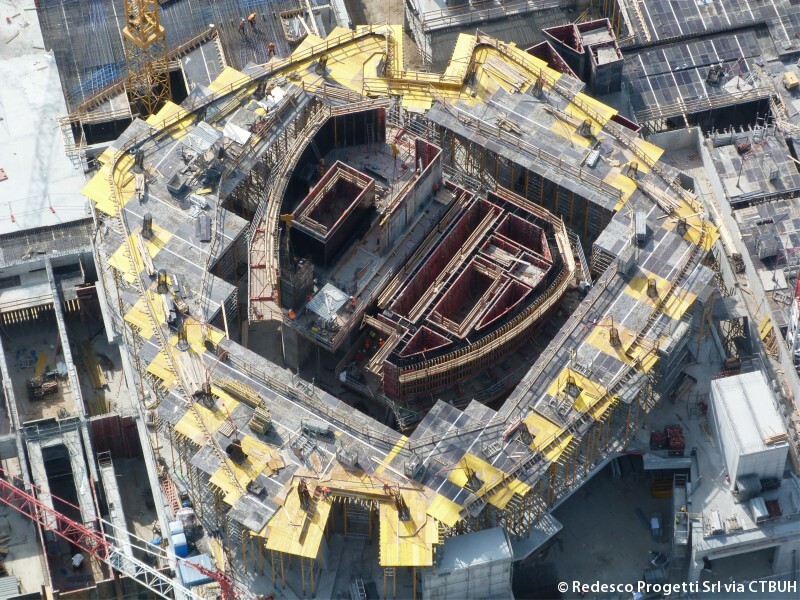 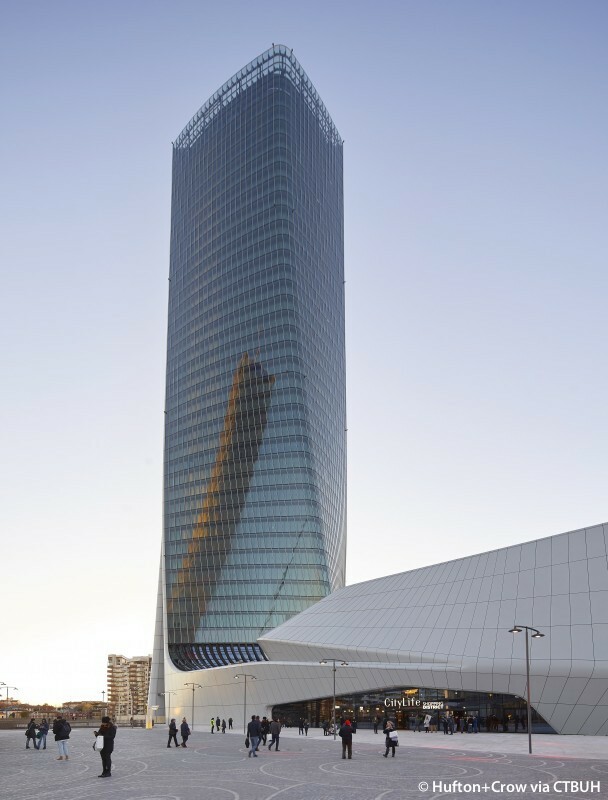 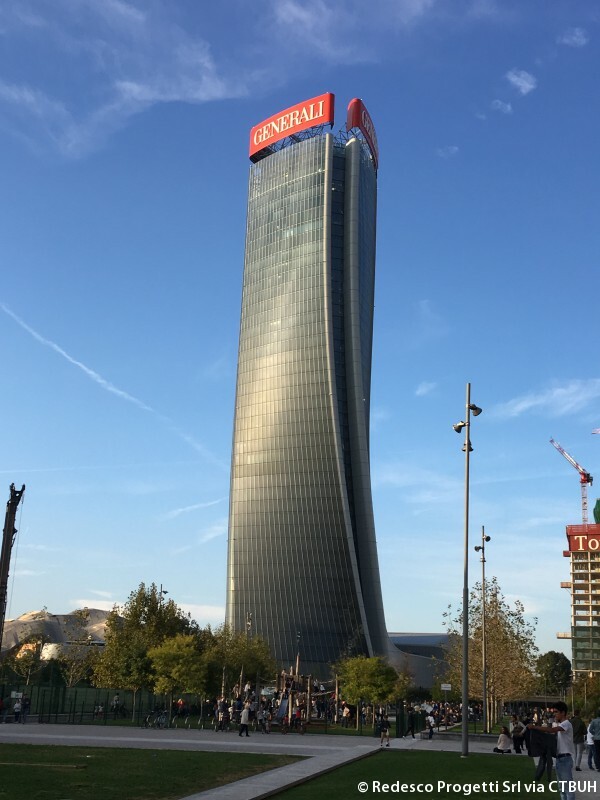 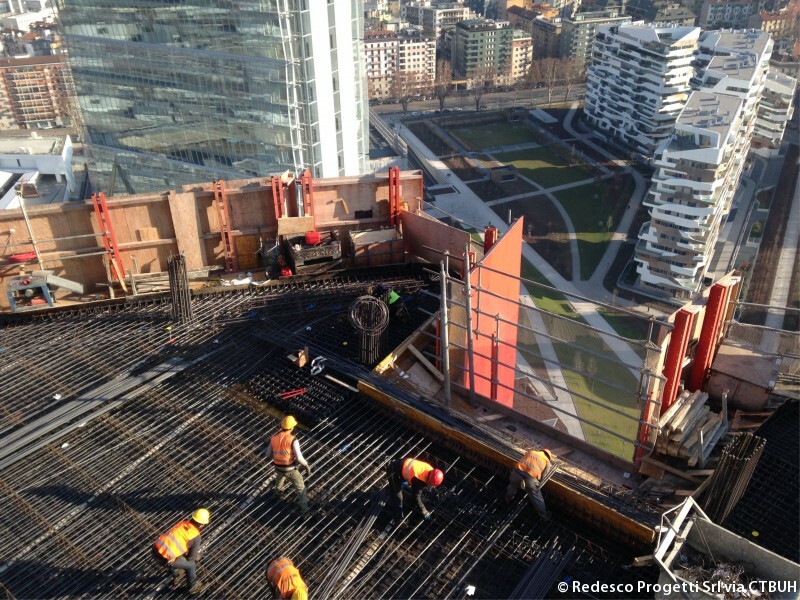 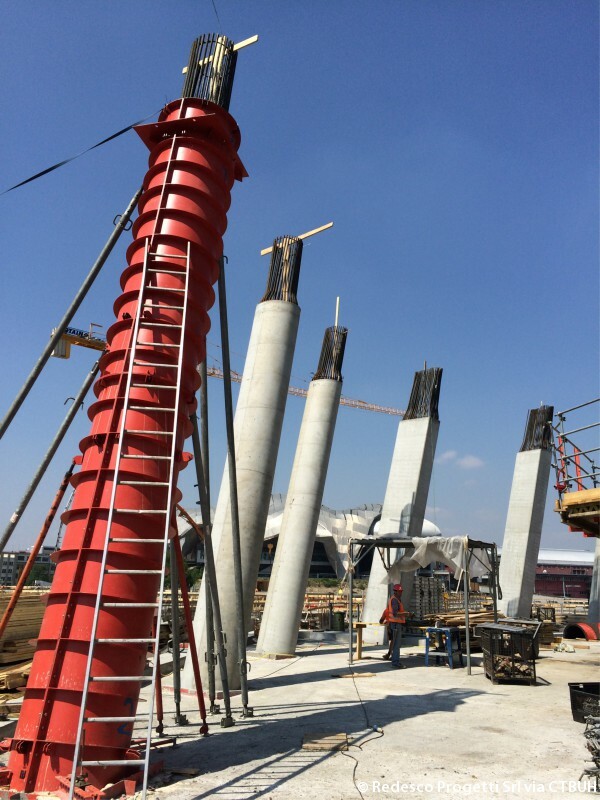 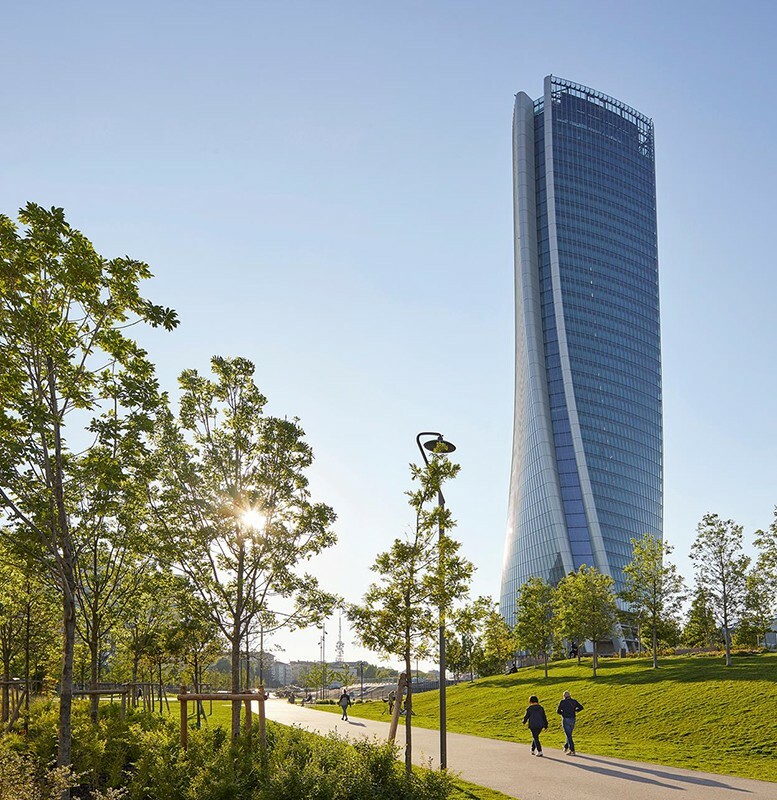 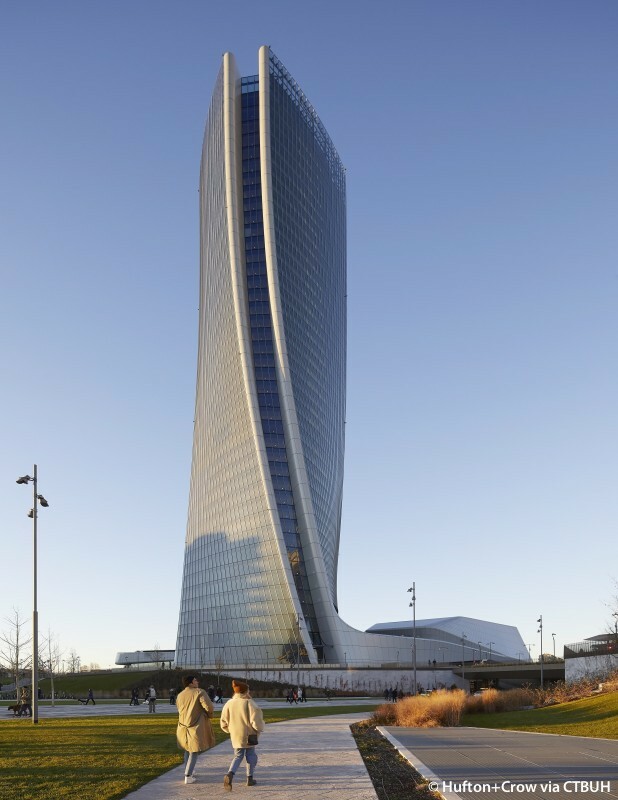 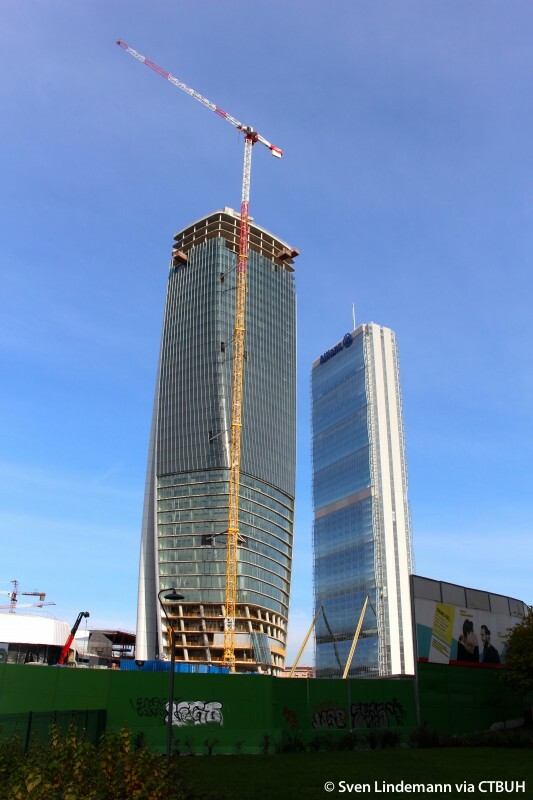 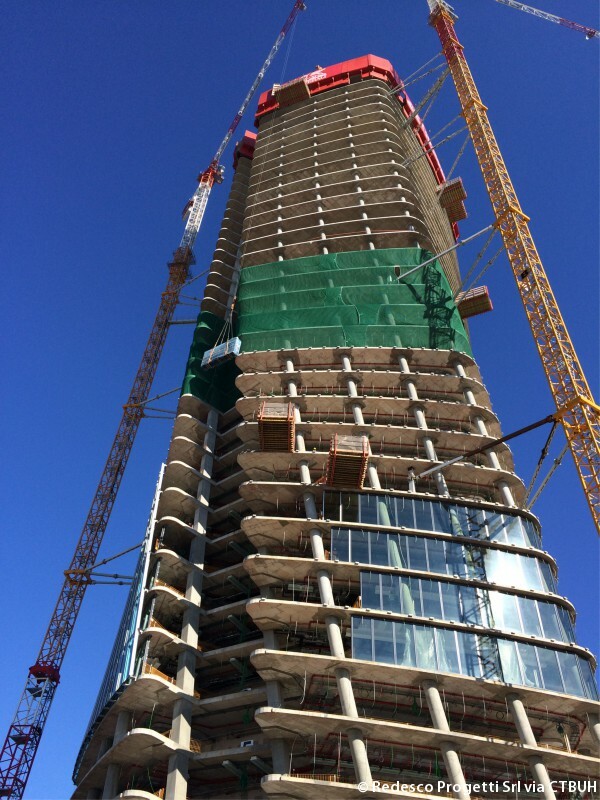 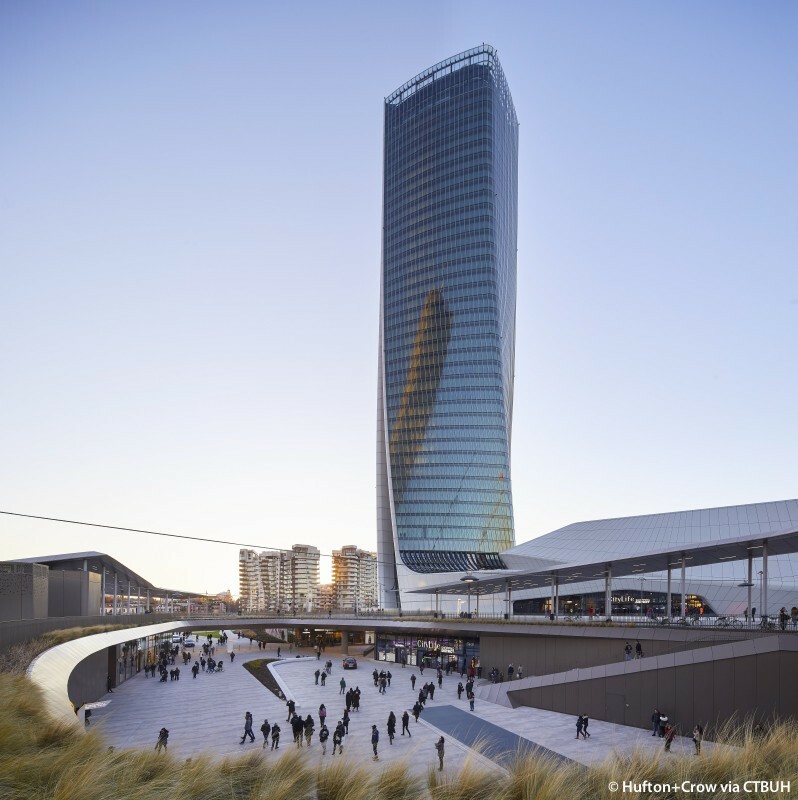 Generali Tower is the second tall building to complete within the CityLife complex, a redevelopment area spanning 366,000 square meters formerly occupied by Milan’s fairgrounds. 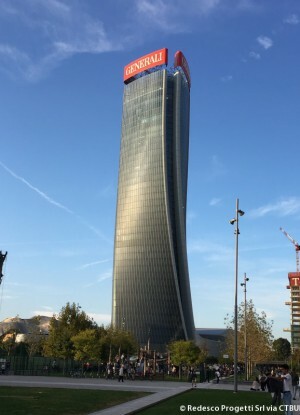 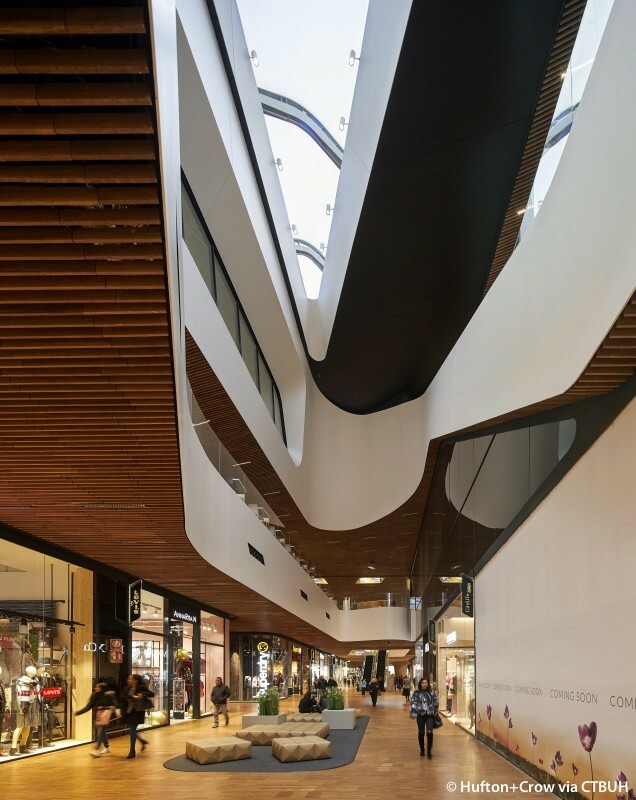 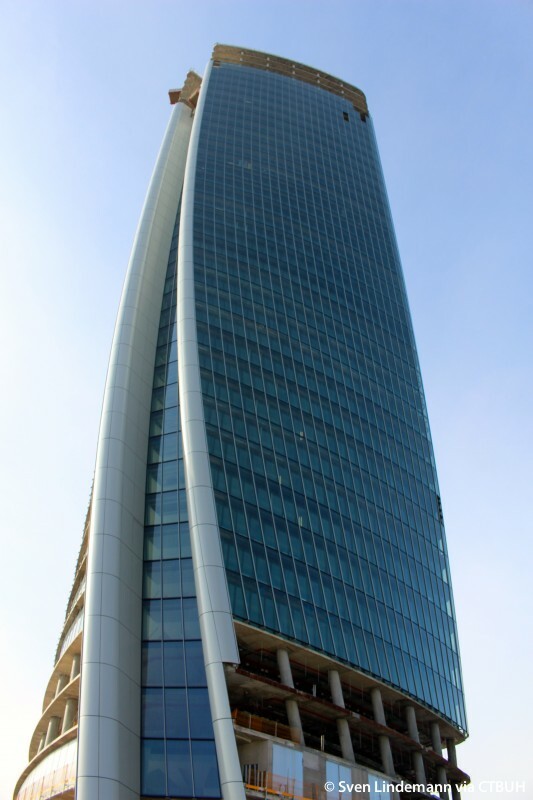 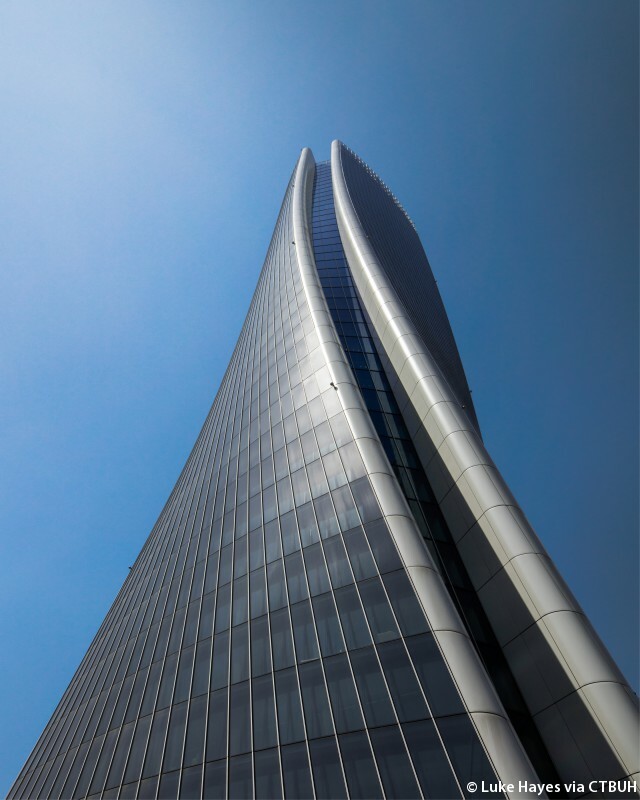 The building is located at the intersection of three axes passing through Milan and converging at CityLife, where a public plaza, shops and restaurants form the base of the tower. 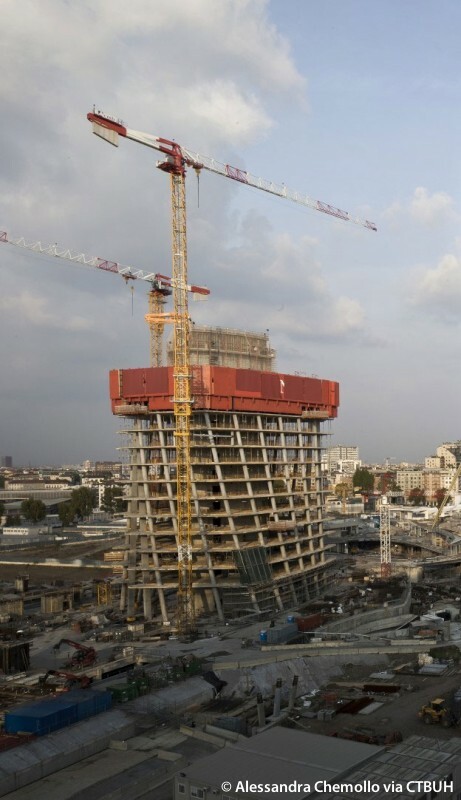 The tower then rises with a realignment of its successive floors through incremental twisting in relation to the floors above and below. 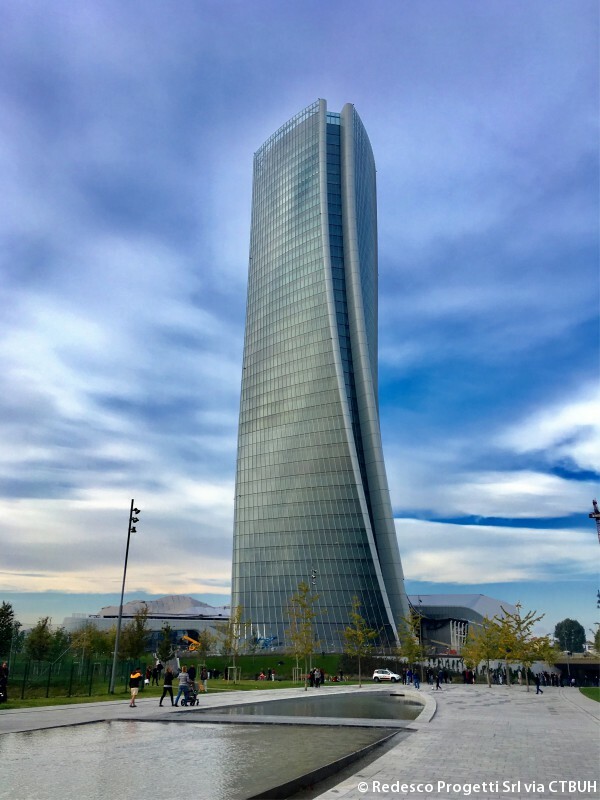 As the building’s form is rotated, the uppermost floors are oriented with the Duomo cathedral within Milan’s historic city center. 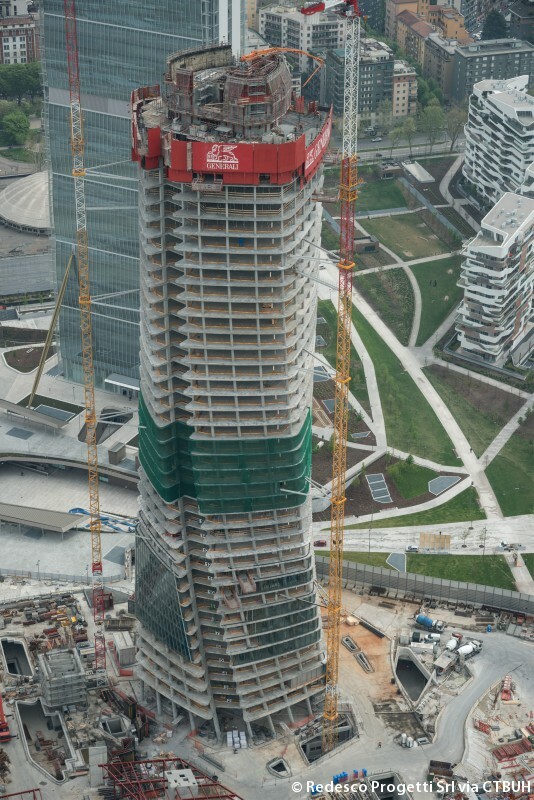 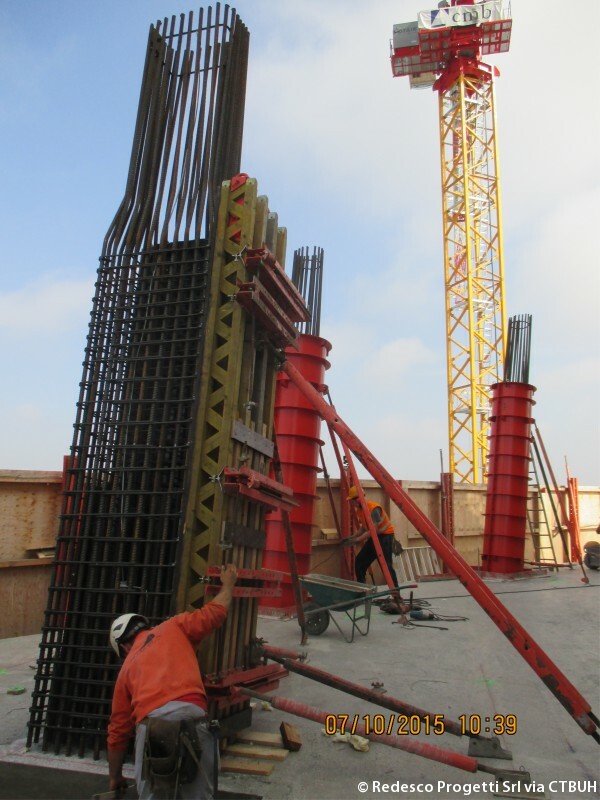 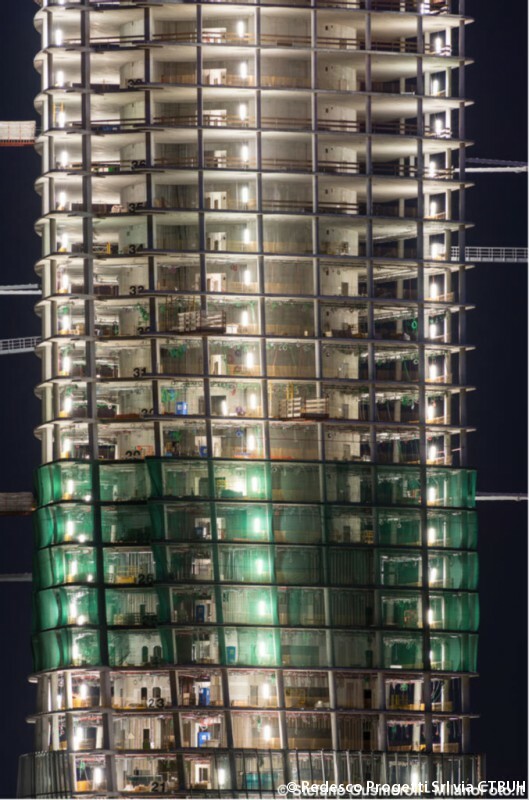 The internal structure of Generali Tower consists of reinforced concrete with a central vertical core and a series of perimeter columns, each of which has a different angle of inclination, depending on the location and height within the building, to accommodate the twisting form of the structure. 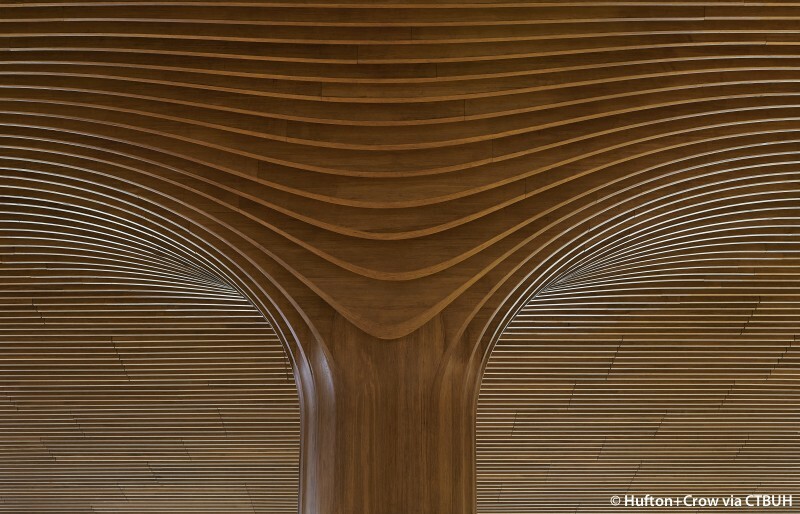 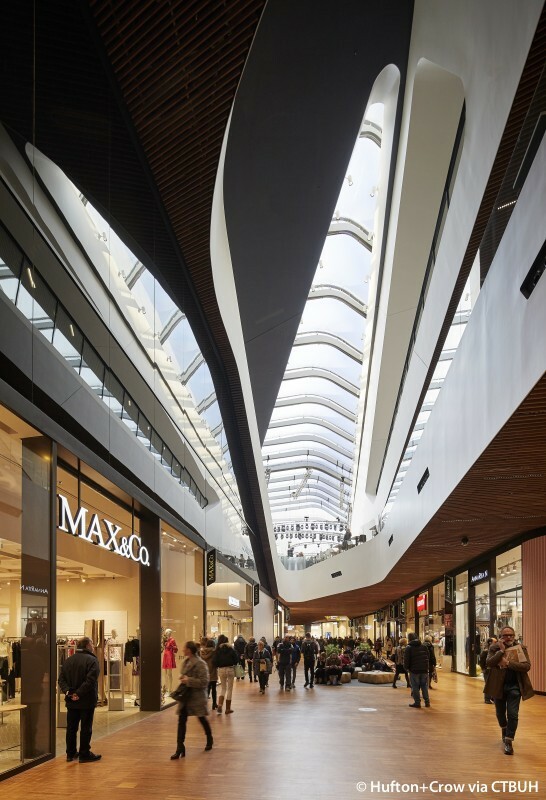 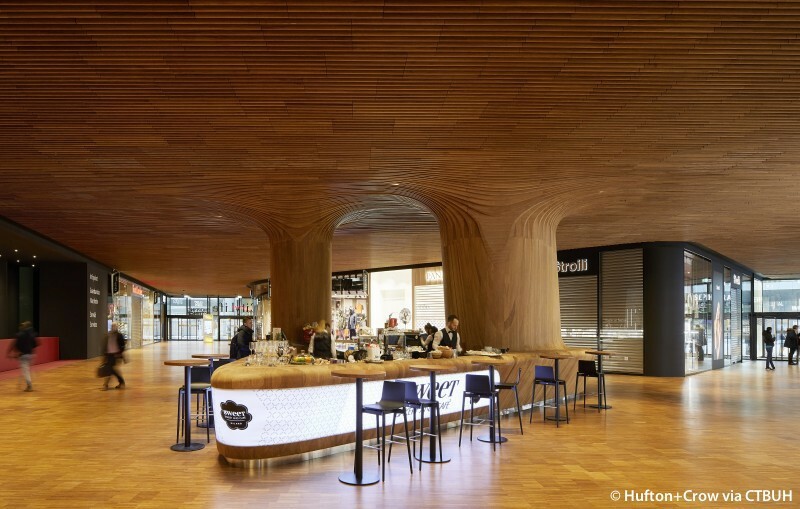 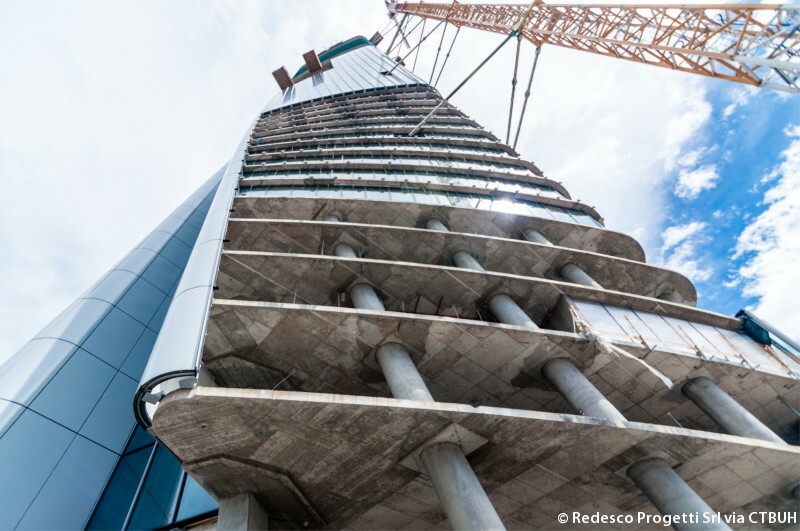 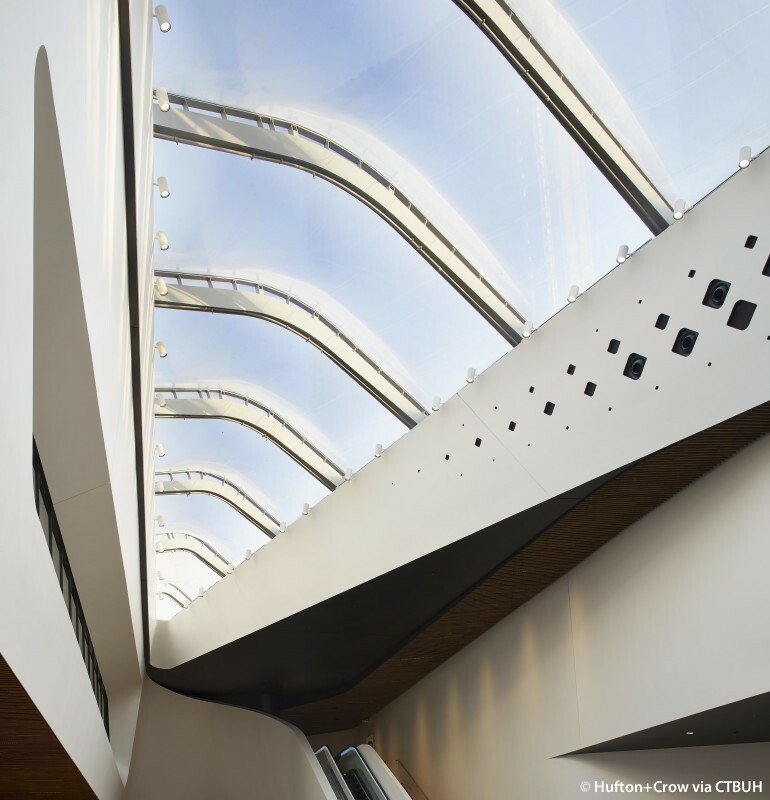 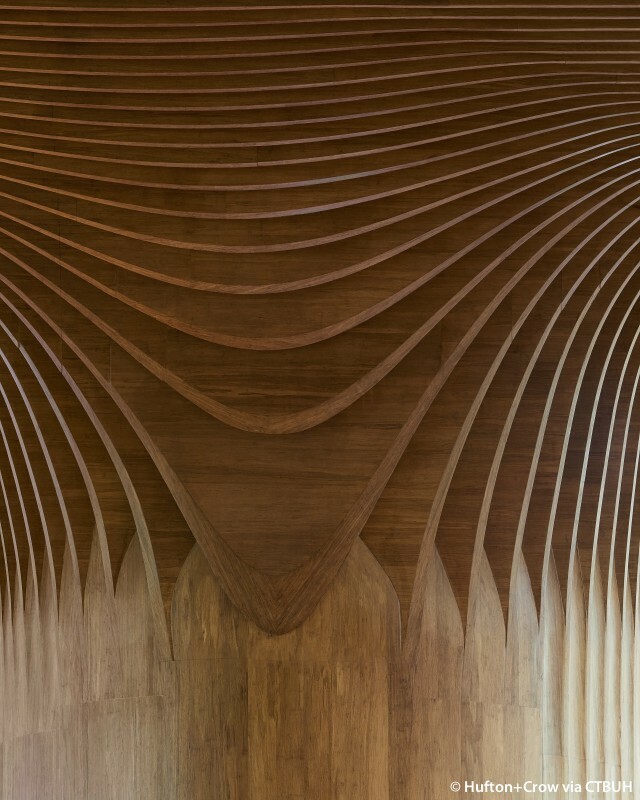 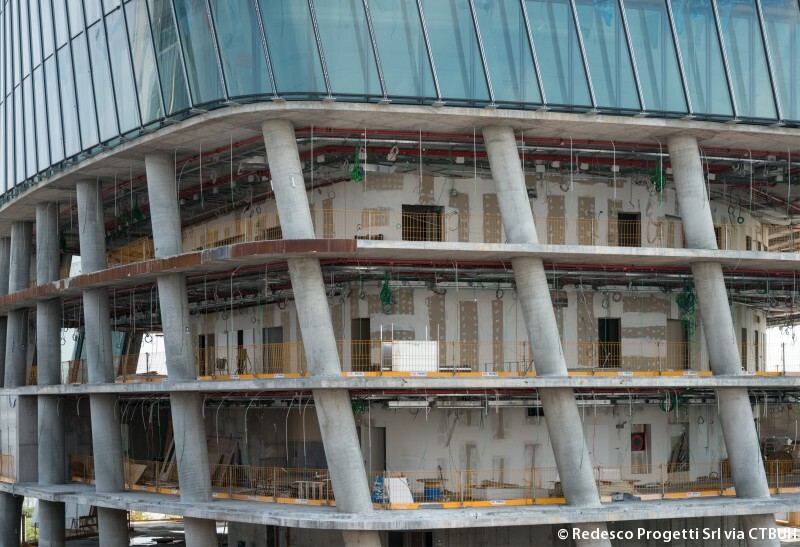 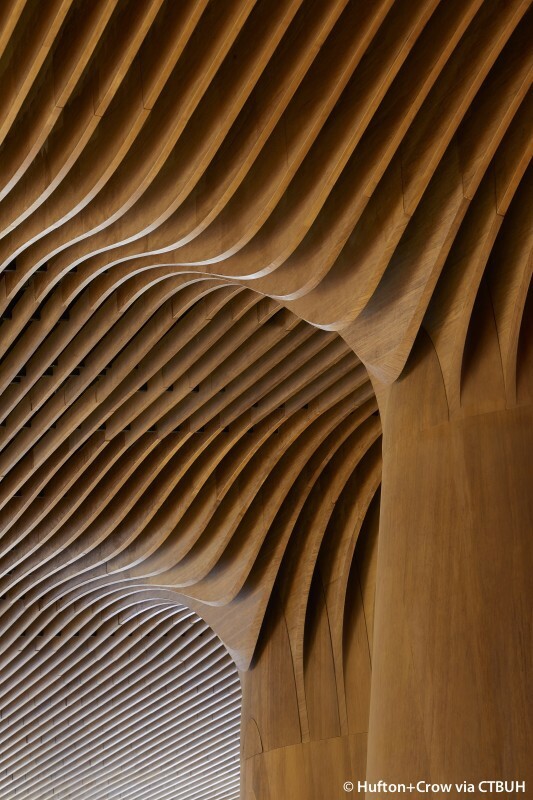 The otherwise column-free floor plates are then enclosed with a double-façade system, complimented by sun-deflecting louvers that reduce solar heat gain and ventilation registers that introduce natural airflow.